Former Portugal boss Paulo Bento will coach South Korea over the next four years through the 2022 Qatar World Cup, the Korea Football Association (KFA) announced Friday. Kim Pan-gon, a top KFA official in charge of finding a new coach, said that with "four years of patience and support" Bento will take the Taeguk Warriors to new heights. "Coach Bento fits the Korean football style as he pursues high-pressing games and tight defences denying opponents chances for counterattacks," Kim told journalists. He also praised Bento -- who took Portugal to the semi-finals of Euro 2012 -- for his strength in the knockout stages of competitions. "He is professional, charismatic and has passion and confidence," Kim said. Bento and his staff are scheduled to arrive in South Korea on Monday, the KFA said. Bento took the Portuguese reins in 2010 after four seasons in charge of Sporting Lisbon, but was sacked in 2014 after an ignominious home defeat to Albania. 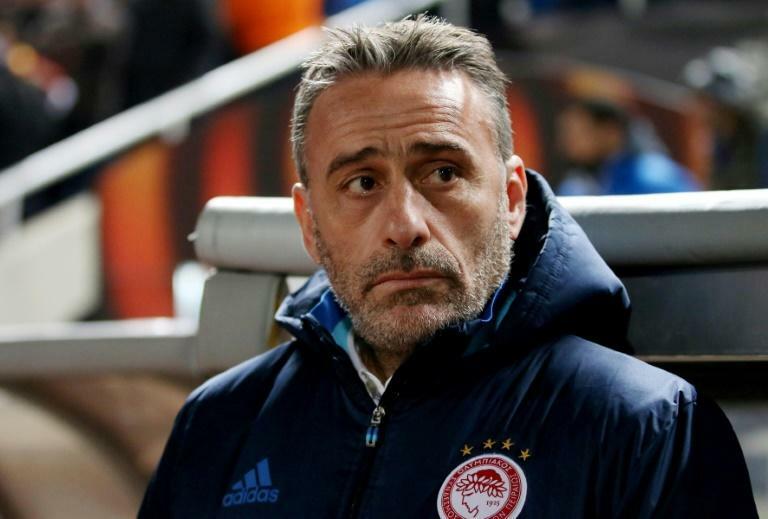 He later had stints in charge of Brazil's Cruzeiro and Olympiakos in Greece, and was appointed coach of Chinese Super League club Chongqing Lifan in December last year. The CSL side sacked him last month after he failed to improve the side's fortunes. Bento -- a tough-tackling defensive midfielder capped 35 times by Portugal -- replaces South Korean Shin Tae-yong, whose contract expired last month. The contract terms remain unclear but his annual wage is expected to be higher than the 1.5 billion won ($1.4 million) received by Germany's Uli Stielike, who coached South Korea from 2014-17, Yonhap reported previously. South Korea -- who reached the World Cup semi-finals in 2002 -- exited Russia 2018 at the group stage after defeats to Sweden and Mexico, despite stunning Germany to eliminate the defending champions. Afterwards, Hyundai scion and KFA president Chung Mong-gyu handed over $3.5 million of his own money to hire a new football coach in an attempt to turn the national team's fortunes around. South Korea's next major assignment at full international level is January's Asian Cup. They were runners-up to Australia at the last edition of the tournament in 2015.